Cleaning out your closet has all kinds of benefits. Aside from the obvious ones (making more space, getting rid of crap you don’t wear) you sometimes turn up a treasure or two. When I was cleaning out my drawers earlier this week, I stumbled across a rainbow crocheted tank top that I’ve never worn before. I made this top way back in July. At the time it was freezing cold, and I popped it in a drawer, thinking that I’d wear it once summer rolled around. I promptly forgot about the top. Until yesterday, when I found it again. 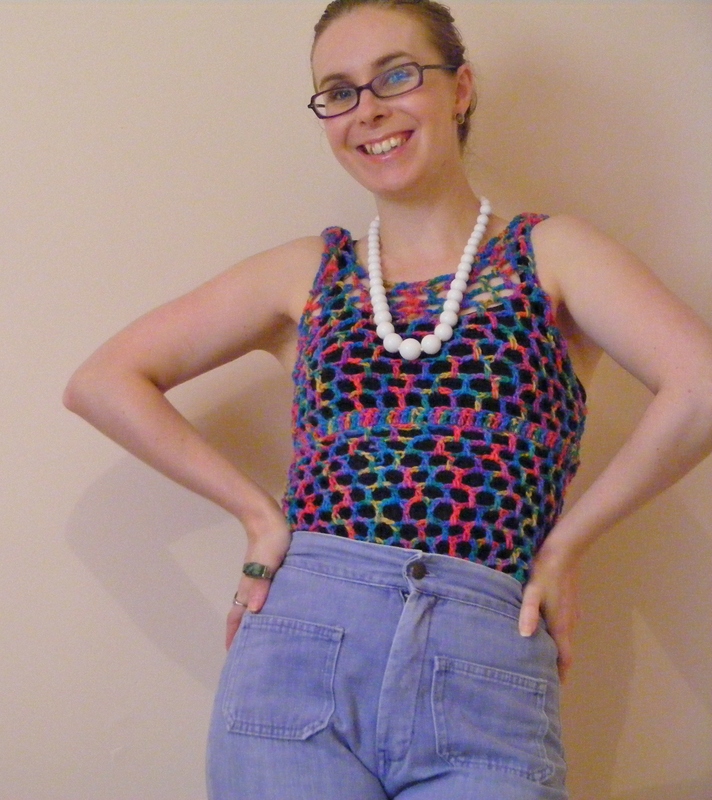 I’m especially proud of this top because it’s the first piece of crocheted clothing that I made all by myself. If you like it and you want one of your own, you can get one made to order through my etsy store. I can do them in all colours and sizes (and you get a choice of lightweight cotton or heavier acrylic yarn). I realised later that this outfit was especially appropriate, because I wore it on Janis Joplin’s birthday. Janis was one of my earliest style icons, and I find that so many elements of her style still creep into my outfits. I love her relaxed, hippie-chick vibe and the slightly tomboyish air that her outfits had. I think my habit of piling on the rings and necklaces came from my early love of Janis Joplin. So happy birthday Janis! In future, I think I’d really like to get a cute bikini top to wear underneath this tank. I also want to try to modify the pattern to make this into a long-sleeved top for when the weather gets a bit cooler. What do you think? Do you ever find items of clothing that you’d forgotten about? What’s the best long-lost treasure that you’ve uncovered?  Previous Making the switch to re-usable menstrual products. Awww, thanks so much. Your comment made my day. Oh wow, I love thissss! I am such a hippie girl, so everything a little rainbow-y, tye-dye-y, flower-y, etc. puts a smile on my face. I need those pants! Also, you look gorgeous yourself! Thank you so much. 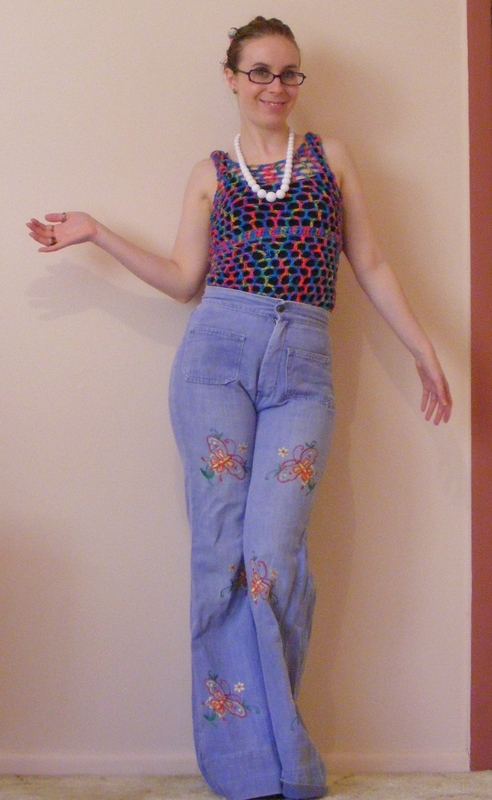 I was instantly drawn to these jeans because they have butterflies on them. I am a sucker for butterflies (Vanessa actually means Butterfly) and I was so excited that they fit. They’re vintage 1970’s and I just love them.